You are currently browsing the tag archive for the ‘MIT’ tag. Some time ago, I wrote about a technology known as Blockchain that will undoubtedly change our lives – and has already. Blockchain is simply a way to record transactions, that is secure, unhackable and ‘disintermediated’ (no need for banks or other financial middlemen). It is now widely used to create digital money. Now comes CRISPR. It stands for Clustered Regularly Interspaced Short Palindromic Repeats. What is it? Simply, a way of editing genes – like we edit blogs or emails. Erase this group of words. Replace it with another, better one. In the case of DNA: “Erase” (snip away) this (bad) piece of DNA, a gene that causes problems – and replace with a ‘good’ gene, that will not cause disease or problems. A palindrome is a word that reads the same forward and backward. E.g. “civic”. 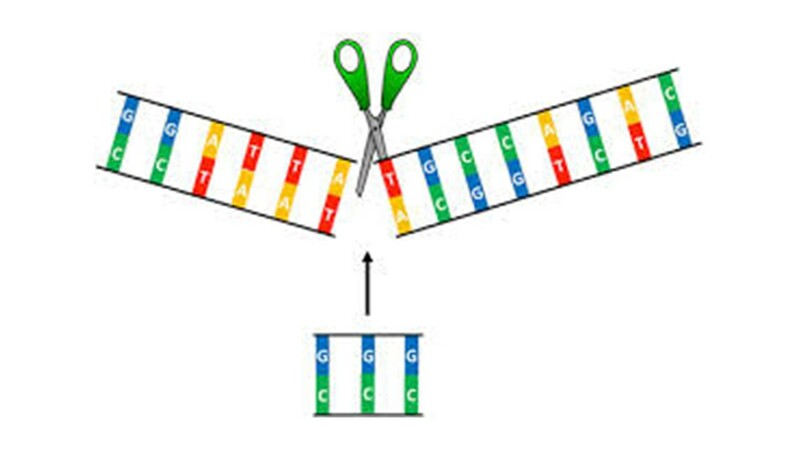 So pieces of DNA are inserted into longer pieces, such that the inserted pieces read the same forward or backward, so it doesn’t matter which way they are inserted. The method originated with studying how viruses ‘snip’ DNA – and using viruses to do the same in constructive way. We now know the genetic causes of many diseases. But until now we have not had the ability to repair bad genes. Now CRISPR makes it possible. This will create an entirely new branch of medicine, immunotherapy, in which gene therapy is used to both treat illness, when identified, and mainly, to prevent it — an individual can now have his or her genome analyzed, and potential ‘bad’ genes identified. No point in doing this, so far, because there was no real way to ‘edit’ bad genes. Now, with CRISPR, there is. I would like to mention one of the scientists responsible for CRISPR, the young MIT scientist Feng Zhang. He was born in China and is only 36; he does research at the famous Broad (pronounced Brode) institute in Cambridge, MA. Increasingly bright foreign students are encountering US visa problems and are going elsewhere, e.g. Canada. It is America’s loss. People are the principle culprits. You and me. This is the result of extensive MIT research of false news (they prefer that term to Trump’s ‘fake news’). “True stories were rarely retweeted by more than 1,000 people, but the top 1 % of false stories were routinely shared by 1,000 to 100,000 people. And it took true stories about six times as long as false ones to reach 1,500 people”. We humans are responsible. Because false news is almost always more sensational, more livid, than true. So we rush to share it. The research of Sinan Aral, MIT Sloan School of Management, appeared in Science magazine. So what can you and I, what MUST you and I, do? I think it is simple. Back to basics. Back to John Dewey. Back to Einstein. 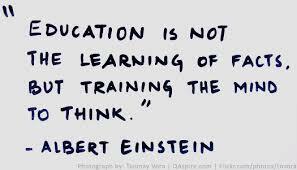 We have to learn again how to think. I have been a college professor for over 50 years. In that time, did I teach my students, facts, concepts, tools? Or did I teach them how to think critically, including about what I am telling them? I don’t think I did a very job in training them in one of today’s most crucial skills, knowing to tell truth from falsehood. Knowledge today has a short half-life. And in any case, knowledge can be found quickly, by anyone, using digital tools. But the ability to think, to sort fact from fiction, truth from lies — that has a very long half life. And that skill is the pillar of any democratic system. Because otherwise , scoundrels can get elected by telling us lies – and they do it all the time now. Increasingly, people watch media, conventional and social, only when they agree with what it tells them. Critical thinking is anesthetized. This has to stop. We have to teach our kids to analyze, weigh, criticize, critique, challenge. We have to teach ourselves. In a world where this skill is more widespread, the Russians will simply draw a blank – and give up. And in a world where Trump says to Canada’s PM: “US has a trade deficit with Canada” (false), and later gloats that he just made it up (US has an overall trade surplus with Canada, it takes 3 seconds to check this), when the leader of the Free World doesn’t care if what he says is true or false, not does his base, it is incumbent upon us, every human being, to care a whole lot more. Cultivate wild ideas! This is a proven path for changing the world, and, perhaps, for winning a Nobel Prize in Physics. These waves would stretch and compress space in orthogonal directions as they went by, the same way that sound waves compress air. They had never been directly seen when Dr. Weiss and, independently, Ron Drever, then at the University of Glasgow, following work by others, suggested detecting the waves by using lasers to monitor the distance between a pair of mirrors. The breakthrough research combined a wild idea (empirically measuring gravity waves) with a feet-on-the-ground project to measure them. The most advanced version of LIGO Laser Interferometer Gravitational-wave Observatory had just started up in September 2015 when the vibrations from a pair of colliding black holes slammed the detectors in Louisiana and Washington with a rising tone, or “chirp,” for a fifth of a second. 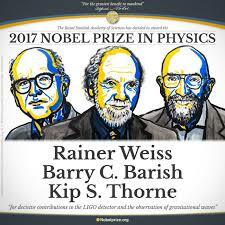 Barish knew how to manage Big Science projects, like LIGO; Weiss and Thorne had the wild idea of measuring tiny tiny waves, an “out of your mind” idea. And the National Science Foundation provided the needed resources. Presto – Nobel. 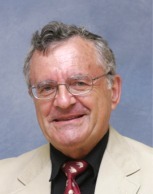 Weiss and Thorne are MIT professors; Barish is from Caltech. 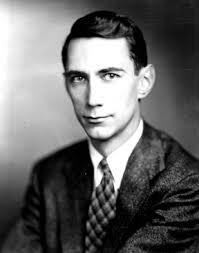 Claude Elwood Shannon (1916- 2001) was an American mathematician, electrical engineer, and cryptographer. He invented what we today call known as “information theory” – the foundation of software, computers and cell phone technology. According to Wikipedia: “Shannon is noted for having founded information theory with a landmark paper, A Mathematical Theory of Communication, that he published in 1948. He is, perhaps, equally well known for founding digital circuit design theory in 1937, when—as a 21-year-old master’s degree student at the Massachusetts Institute of Technology (MIT)—he wrote his thesis demonstrating that electrical applications of Boolean algebra could construct any logical, numerical relationship.” In other words, you can do anything with 0,1. NATURE magazine (July 13 2017, p. 159) has a review of a new book about Shannon, A Mind at Play: How Claude Shannon invented the Information Age. The review is written by Vint Cerf, who designed the architecture of the Internet. At the close of his review, Cerf notes: “What emerges is a portrait of an exceptional free-spirited mind, nurtured by colleagues at MIT and Bell Labs….he was protected from some of the more mundane aspects of work, such as reporting progress, by colleagues and managers. They recognized his unique ability to wrestle insight from complexity, by peeling away details that obscured the kernel of problems and inviting creative solutions”. What I learn from this is: Be like Shannon. 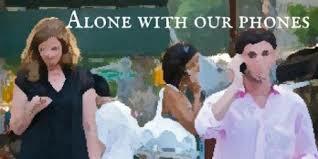 Strip away the humdrum things you do, and focus on big problems, on the core of the problem. Peter Drucker taught “Innovation and Abandonment” and he began with ‘abandonment’. That is, what can you get rid of in your life that takes away time and energy from your creative powers? How can you be like Shannon? And, next best, if you cannot be like Shannon, can you identify and support other people around you who are like Shannon? Supporting other creative people may be as important as being creative yourself. Will dependence on devices mean we no longer know how to engage, befriend and converse with live humans? Will IoT kill empathy? In her latest book, Reclaiming Conversation: The Power of Talk in a Digital Age, MIT Professor Sherry Turkle, a sociologist and clinical psychologist, decries the decline of simple human contact. The result? “Our young people would rather send an electronic message than commit to a face-to-face meeting or even a telephone call.” The resulting “flight from conversation” damages what is most human about us – our ability to form relationships, empathize, sympathize, understand, collaborate. In the world of IoT, will ‘things’ communicate in place of people? And will we as a result lose much of our essential humanity? The 2013 movie “Her” follows Theodore Twombly, played by Joaquin Phoenix, as he falls in love with Samantha, a computer operating system, whose silky voice is that of Scarlett Johansson. Are we already falling in love with our ‘things’? I am told that depriving teenagers of their cell phones, as a punishment, is regarded by them as life-threatening. Every new technology has its downside. Cellular technology enables us to communicate with everyone, everywhere, any time, all the time. This is a great boon. But it is also destroying our ability to relate to other human beings. How can we reap the benefits of ubiquitous smart phones (according to TIME magazine, a year ago, most people now surf the Web with their phones, not tablets or PC’s), without the downside that Turkle depicts? Raise the U.S. Minimum Wage – Now! Have you wondered, why low-paid American workers, who lost well-paying jobs in manufacturing to Asia and instead got low-paying jobs in services, like fast foods, have been so passive under exploitation and poverty? No longer. A spontaneous group of fast food workers has organized, using social networks, and have mounted demonstrations in major cities. 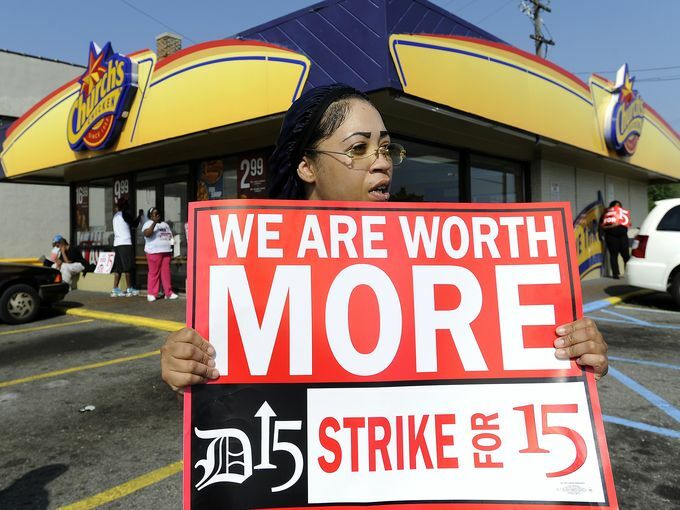 Many earn minimum wage, which in some places is $7.50 an hour. That means you get $30 a week for a 40 hour work week, or $120 a month — $14,400 a year. Nobody can survive on that. Is that what they are worth? Is that commensurate, as economists say, with the value of the marginal product of their labor? I doubt it, given Macdonald’s fat profits. But wait! If you raise the minimum wage, you will cause more unemployment and hardship, because the higher the price of something, the less is the demand. Right? Here is what Zeynep Ton writes in Fortune (he’s an adjunct associate professor of operations management at the MIT Sloan School of Management and the author of The Good Jobs Strategy: How the Smartest Companies Invest in Employees to Lower Costs and Boost Profits). I studied four retail chains that manage (to pay workers more than minimum wages); Costco, Trader Joe’s, QuikTrip (a U.S. chain of convenience stores with gas stations), and Mercadona (Spain’s largest supermarket chain). They offer their employees much better jobs than their competitors, all the while keeping their prices low and performing well in all the ways that matter to any business. They have high productivity, great customer service, healthy growth, and excellent returns to their investors. They compete head-on with companies that spend far less on their employees, and they win. It’s simple. To boost a flagging economy, put more income into the hands of those who need it; they spend it, creating demand, more jobs, and by Keynes’ multiplier effect, economic growth. Does this sound more logical than the European no-brain austerity program? And, if nothing else, more fair? Today, the structure of nearly all the universities in the world is obsolete, ancient, creaky and counterproductive. It is based on faculties, which are silos that work in direct opposition to convergence. The exceptions are research institutes that are cross-disciplinary, specifically nanotechnology. My university has a Nanotechnology Center that draws scholars from many disciplines, and the resulting integration has been tremendously productive. A small example: Prof. Hossam Haick, whose discipline is chemical engineering, but who has harnessed nanotechnology, electronics, chemistry, physics and engineering to produce an ‘electronic nose’, which can sniff cancer molecules, for instance. He recently delivered the first course in Arabic, on Coursera, on nanotechnology. Structure is not strategy, it is sometimes said. But, sometimes it is. Let’s change the structure of universities. Let’s find a way to restructure them, so that each faculty member has a very clear area of expertise, a clearly-defined discipline, but also has broad knowledge of other fields and above all, works as part of a convergence interdisciplinary team. And for this to work, their offices have to be adjacent…. Despite IT and networking, nothing beats face-to-face conversations over coffee. Convergence poses a big challenge to those who would innovate. You need to achieve two conflicting goals, both of which are highly challenging. First, as Nobel Laureate Dan Shechtman repeatedly urges, you must become expert, truly expert, at SOMEthing…. his expertise was in electron microscopy, and it enabled him to overcome fierce opposition to his discoveries, and ultimately win the big prize. You need deep knowledge in at least one field or sub-field. Second, you need to become curious and learn a great many things about a great many fields, not in depth but sufficient to understand them. You need wide knowledge, surface knowledge, in just about everything. Even if you have team members who have deep knowledge, it still helps a lot to innovate if you have basic understanding of other, distant disciplines. 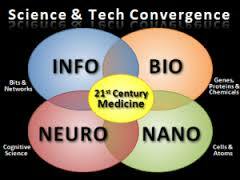 In future, all the major breakthroughs will occur at the point of convergence among several disciplines. In order for you, innovator, to be there, you need to acquire depth, and breadth. Tom Friedman’s Global New York Times column, Jan. 13, is titled “If I Had a Hammer”. It’s not about the folk singers Peter, Paul & Mary. It’s about the Second Machine Age, and about the chess grandmaster Donner who was asked how to prepare for a chess match against a machine, like IBM’s Deep Blue computer. “I would bring a hammer,” he said. Friedman reviews a new book by MIT Professors Erik Brynjolfsson and Andrew McAfee, The Second Machine Age. According to them, in the First Machine Age, 1700-1950, each new invention made human control and human labor more important. In the Second Machine Age, we are automating cognitive tasks. Result: humans, and software-driven machines, may be substitutes (i.e. enemies), not complements. Machines are becoming exponentially smarter. “Our generation will have more power to improve (or destroy) the world than any before, relying on fewer people and more technology”, Friedman concludes. What does this mean? For one, “we need to reinvent education so more people can ‘race with machines’, not race against them”. This implies, I believe, that we must totally rethink how we teach kids. The only advantage humans have over smart machines is in their imaginations. So teaching and fostering creativity will be a crucial component of how we educate our children in future. It’s the only competitive advantage we have over machines. The only think smart machines lack, and will always lack, is the human brain’s ability to imagine things that do not exist. No machine yet has a ‘visual cortex’.